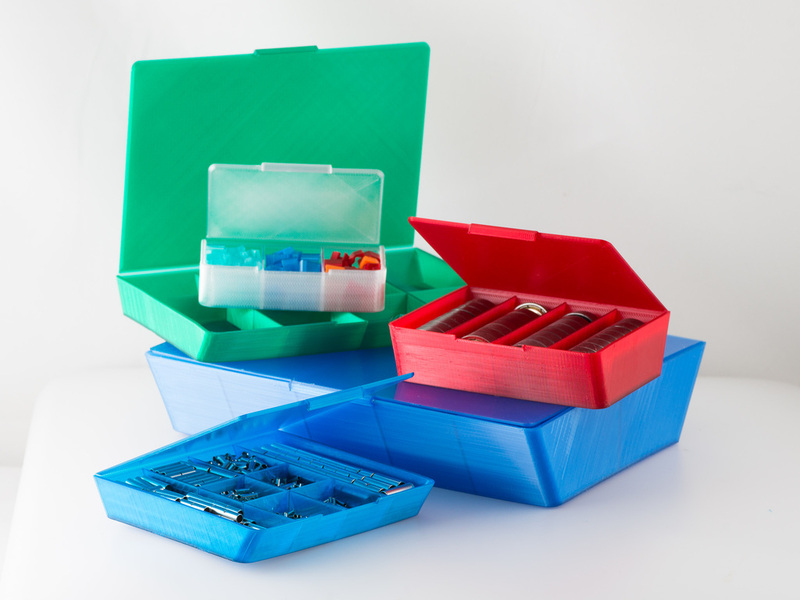 Assorted Simple Containers for Things by @whirlinglight « Adafruit Industries – Makers, hackers, artists, designers and engineers! Tilted containers, with a built in lid. This was designed to more efficiently use the build volume of the printer than other integrated lid cases I’ve designed and still print without support. There are several sizes and divider configurations, as I print more variations, I’ll add them to this thing. Probably best to print in PETG because of the living hinge.